For details of the work related to this sacred site, refer to the page on Manonash. There are four centers in the twin cities of Hyderabad and Secunderabad. 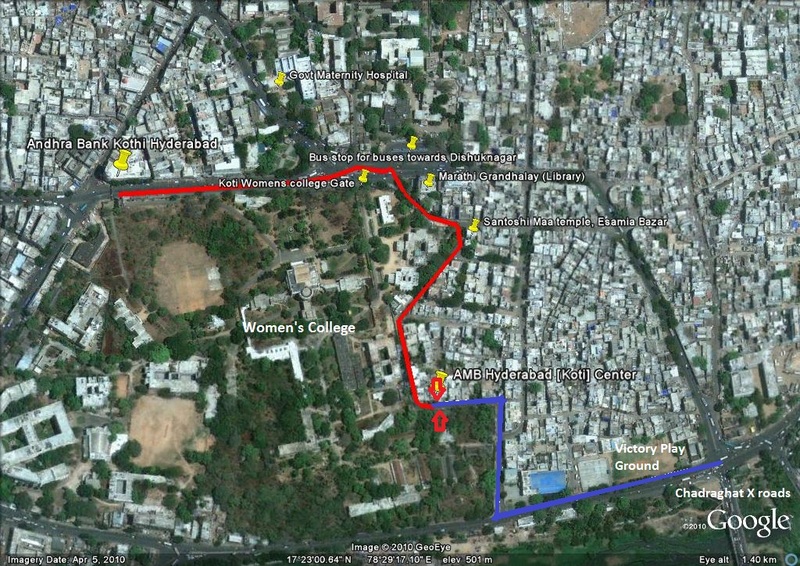 The first center in the twin cities started in Oct 1960 at Kalasiguda, Secunderabad, which was leter shifted to Mudfort and to the present AMB Hyderabad [Koti] center (aka Meher Koti Center or Koti center). This unique center was built on an elevated land of 1 acre donated by an atheist. The oval shaped Baba’s hall is big enough to accommodate around 600-700 people. It has a guest house with several rooms, a seminar and dining hall. The main hall and the guest house were built with donations from lovers from India and abroad. More Details: For details on the center’s history, please refer to this ppt handout. This center was started in 1994.